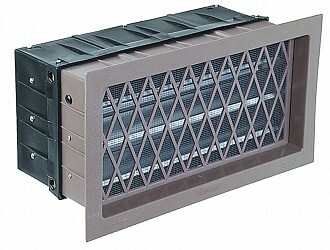 Powered - Air Vent, Inc.
Powered foundation vents are extremely effective in providing ventilation for moisture control. 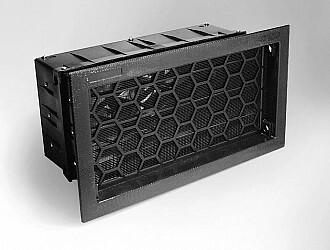 A small fan is encased in the housing of the vent and runs continuously at a low speed when the humidity level exceeds the setting on the humidistat. The fan creates negative pressure in the foundation to pull air through the foundation. 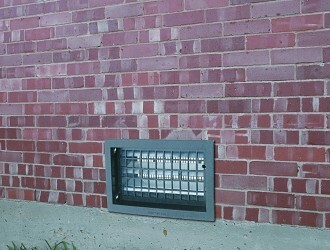 Powered vents are installed on one side of the foundation, with open, non-powered vents on the other side. 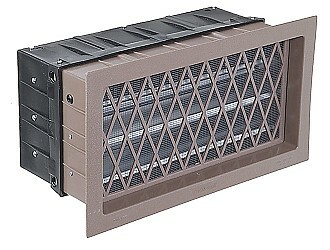 Humidistats and Thermostats -- A humidistat and thermostat can be installed with the vent to run the fan intermittently. The humidistat turns the fan on when moisture in the foundation rises to a pre-set level. A thermostat should also be connected to the fan to turn the fan off in freezing weather to protect pipes under the home and to save energy. Call customer service at 1-800-AIR-VENT for more information.